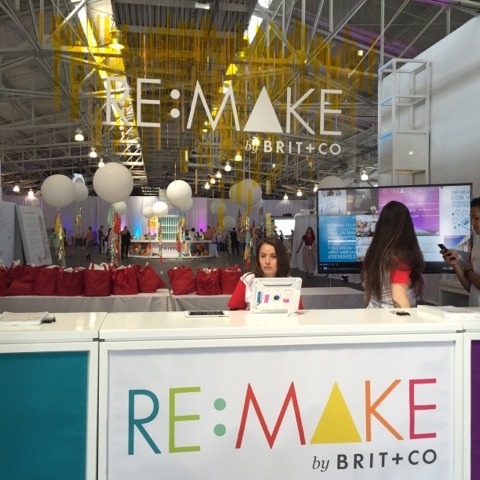 Last Friday, I got to spend the day flexing my creative muscles at Brit + Co‘s third annual Re:Make conference. The conference showcased how the combination of technology and creativity are changing our daily lives. Since starting at Brit + Co a few months ago, I’ve spent a lot of time thinking about creativity. Specifically, my creativity. I’ve debated whether I had any in me anymore. That sounds a little melodramatic, but for a lot of us, creativity just isn’t on the daily schedule. We don’t have the time and I think the worst part is, we just don’t feel like we can be creative. I watched this video during my first week of work and I think it just hit me the hardest. I was terrified of trying anything creative, fearing the judgement that would come after. I didn’t want someone to wander up on my ‘creative outlet’ and tell me I’m not really an artist or writer or dancer. I always associated creativity with amazing talent and I’ve never felt like I had that. The funny thing is that I never had those feelings as a kid. I never feared judgement for anything I did and I had no problem filling the front of the fridge with my masterpieces or belting out a song in front of my dad’s video camera. Somewhere along the way, I became insecure about being creative. They say the first step of fixing any problem is realizing that there is one and that’s where I started. I realized I had a massive hang up associated with being creative and that I needed to do something about it. Thankfully, I work in a place that is so chock full of creative individuals that I never need to search far for all types of inspiration. The ladies that I work with show me each and every day how valued creativity is and how it really can be anything big or small. Whether they’re coming up with the most creative DIY projects I’ve ever seen or writing clever copy for a new editorial post. It feels like they just pump creativity in the air. Little by little, I’ve been getting better at taking the time to be creative and not worry about anyone else’s judgement. I felt like that the Re:Make conference day was like a supercharged day in the Brit + Co office. 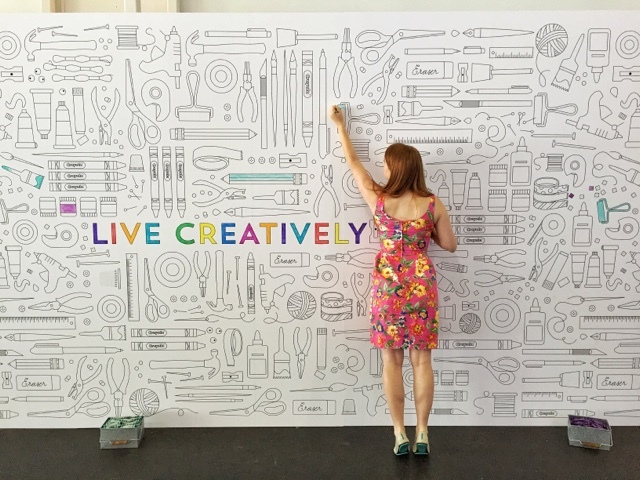 A day so packed with creative people, you couldn’t help but feel inspired. Creativity is catching! As one of the Brit + Co staff, we all pitched in to help make the conference and the festival a success. I think one of the things I enjoyed most was the crazy positive attitude everyone exuded. Even though we all had been working insane hours and running around like crazy people, everyone had a smile on their face and was always willing to lend a helping hand. I think it was because we believed so strongly in what we were trying to achieve that it all felt worth it. 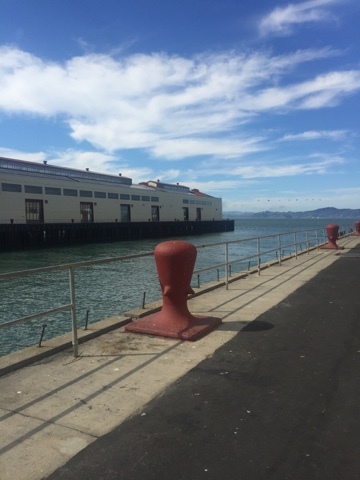 It didn’t hurt that it was an incredibly gorgeous day in San Francisco and the conference was held in Fort Mason, right by the water! 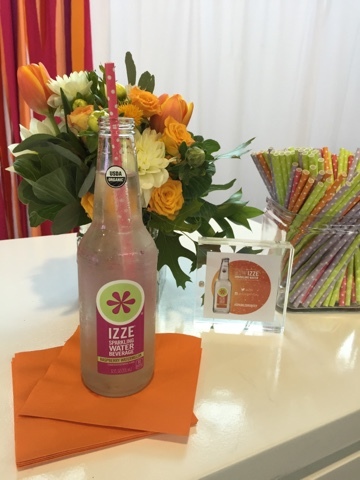 During the conference lunch break, I helped organize a blogger luncheon with Brit + Co’s founder, Brit Morin, and renowned DIY blogger Jordan Ferney of Oh Happy Day. 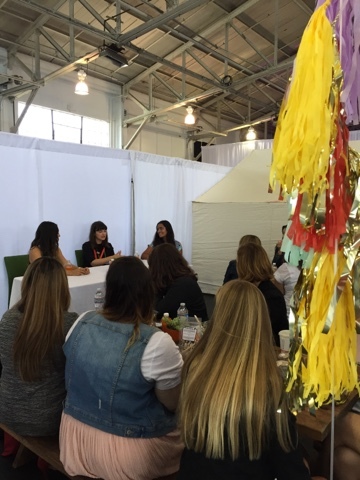 The girls got to do a Q&A session with both amazing ladies and hear about how they get past harsh criticism, judgement and creative road blocks. If only all lunch days could be like this! Awesome companies turned out to showcase their love of creativity and technology. From Hershey’s 3D chocolate printer, yes it exists, to Google showing off their Made With Code partnership with Zac Posen featuring a dress ‘made with code’ that was actually in his show at NYFW! I think I left the conference with a deeper commitment to making the time to do the creative things I love and the understanding that I shouldn’t really let my inner doubt get in the way. Sounds profound, but in the end it’s just about knowing that #iamcreative. Now, excuse me while I go enjoy watching The Office and filling an entire notebook with random sketches. This looks like so much fun! Thanks for the review, we are looking at conferences and its always great to hear what someone's opinion is. What an awesome opportunity and 3D Chocolate printer?!! Love your review! Sounds like an amazing conference! I find the best way to stay creative is to not let my "inner critic" keep me from doing the things I love. Glad you found a way to recharge your creativity.